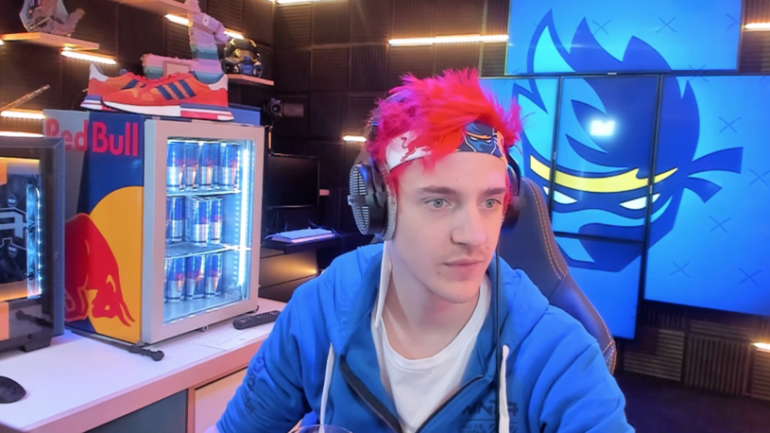 Ninja is playing some Fortnite with another popular rapper. Tyler “Ninja” Blevins is no stranger to playing with some big-time celebrities. Last year, the popular Twitch streamer ran some Fortnite with Pittsburgh Steelers wide receiver JuJu Smith-Schuster, rapper Travis Scott, and Drake. It looks like he’ll be playing some games alongside another well-known artist once again. Navraj “Nav” Goraya , a Canadian-born rapper, will be playing alongside Ninja on Friday, March 22. Unlike his games with Drake and Travis Scott, this stream will have more of a purpose—Nav will be promoting his newest album. “Super pumped to be playing some Fortnite with Nav today,” Ninja said. “He’s going to be showing off his new album for us, too.” The stream will start at 2pm CT, and can be seen on both Ninja’s Twitch channel as well as Nav’s own channel. They’ll both be playing some songs off of the album Bad Habits, which will be released on Nov. 2, 2019. Nav got his start off of SoundCloud, where he picked up fame very quickly. He’s now signed to XO and Republic Records, the former being home to popular R&B artist, the Weeknd. Nav has also been featured on multiple albums by other popular artists, like Travis Scott. This is simply another venture for Ninja into the music space, which is a venue that he’s familiar with. Besides playing Fortnite with Drake, Ninja has also played with popular EDM producer Marshmello at the 2018 E3 Fortnite Pro-AM—an event that they won.